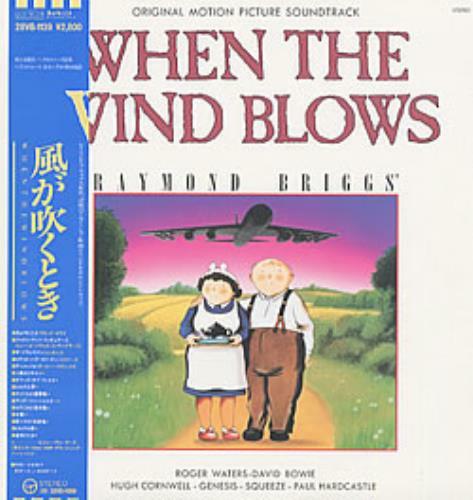 ORIGINAL SOUNDTRACK When The Wind Blows (1986 Japanese Virgin 15-track promo sample vinyl soundtrack LP featuring 10 compositions by Roger Waters & The Bleeding Heart Band. Also includes tracks by David Bowie, Hugh Cornwell, Genesis, Squeeze and PaulHardcastle, picture sleeve, fold-out lyric insert & obi-strip. The sleeve displays very little wear at all, the obi-strip and insert look almost new. The Vinyl could be unplayed 25VB-1139).